The Conference4me smartphone app provides you with a comfortable tool for planning your participation in NETTAB2013. Browse the complete programme directly from your phone or tablet and create your very own agenda on the fly. More information can be found at http://conference4me.eu/download. The workshop will run from Wednesday October 16 to Friday October 18, 2013. Exact time schedules of scientific sessions, tutorials and social activities are now available. The main sessions of the workshop will be held on Thursday October 17 (the whole day) and Friday October 18 (until 1:00 PM). Tutorials will be given on Wednesday October 16, from late morning to late evening. A Social dinner will be held on Thursday October 17 at the restaurant of the Nicelli airport, Via Morandi 9, Lido di Venezia. 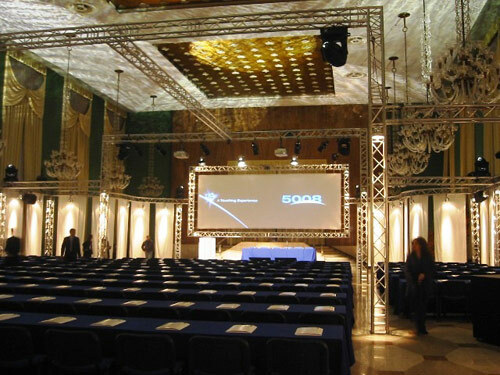 The workshop and tutorials will be held in the Conference rooms of the First Floor of the "Palazzo del Casinò" Congress Center, one of the Congress venues of Venice Convention in Lido of Venice. See Venice Convention Congress venues. The railway station of Venezia SL (Venezia Santa Lucia) is one of the main station in Italy and it is directly connected via Regional, Intercity, Eurocity and High Speed trains to several Italian and European cities. For train scheduling look http://www.trenitalia.com/ or http://reiseauskunft.bahn.de web pages. The Marco Polo airport of Venice (VCE) is served by budget and main European airlines and from a number of intercontinental carriers. The Antonio Canova airport of Treviso (TSF)is served by budget airlines and connected to many Italian and European airports. Lido of Venice can be reached from Venezia SL train station with the ACTV waterbus line 5.1 leaving at the minutes 5-25-45 of every hour from the stop FERROVIA (S.Lucia) "D". The travel takes 37 minutes. Alternatively, you can take ACTV waterbus line 1 (slow line along the Canal Grande) that takes 55 minutes to Lido and leaves every 10 minutes from the stop FERROVIA (S.Lucia) "E". From the car and bus terminal of Piazzale Roma you can take the ACTV waterbus line 5.1 leaving at the minutes 10-30-50 of every hour from the stop P. ROMA (S.Andrea) "F". The travel to Lido SME takes 32 minutes. Preferably you may also take the ACTV waterbus line 6 leaving at the minutes 1-21-41 of every hour from the stop P. ROMA (S.Andrea) "F". The travel to Lido SME takes 31 minutes. Alternatively you can take ACTV waterbus line 1 (slow line along the Canal Grande) that takes 58 minutes to Lido and leaves every 10 minutes from the stop P. ROMA (Scomenzera) "A". Please check the precise scheduling for early morning or evening travels. There are also Nocturnal services (ACTV line N) connecting Lido with Venice all night long. A one-way ticket (60 minutes validity) for the ACTV waterbuses costs 7 euro. More days touristic tickets are available as well. From Venice Airport Marco Polo (VCE) there is a direct waterbus connection to Lido with the ALILAGUNA blue and red lines. The blue line leaves at the minute 15 and 45 of every hour from the stop AEROPORTO (Tessera) that is located at 5 minutes walk from the arrival exit of the terminal building (left, follow the walking trail to Darsena-Dockyard). Last travels: 20.15, 21.15, 22.15, 23.15, 0.15. The travel takes 65 minutes. A one way ticket for the ALILAGUNA waterbus costs 15 euro (return ticket 27 euro). Tickets can be purchased at the Public Transport Tickets Office in the arrival hall at the ground floor. With a car you can reach Lido of Venice with the ACTV Ferry Boat line 17 from the Tronchetto Island (turn right short before Venezia Piazzale Roma). Car fares varies from 12 to 24 euro depending on car length. You can find information on the public transports in Venice at ">http://www.actv.it/. You can download a booklet with all lines and detailed scheduling. From Treviso Airport (TSF) you can take the ATVO bus to the Bus terminal of Venezia Piazzale Roma (70 minutes, 10 euro one-way, 18 euro return). For timetable and online tickets see http://www.atvo.it/. The "Palazzo del Casinò" Congress Center, located in Lungomare Marconi 30, Lido di Venezia, is at walking distance (20 minutes) from the waterbus station of Lido SME (Piazzale Santa Maria Elisabetta). Walk along Gran Viale, left Via Lepanto, left via Lorenzo Marcello and right Lungomare G. Marconi to reach the main entry (sea side) of the Casinò. Alternatively you can walk along via Sandro Gallo until the Quattro Fontane bridge and then just before the bridge take left, via Quattro Fontane following the water channel. You can enter in the Casinò from the back door located in front of the Dockyard (Darsena). You can take the ACTV bus V from Lido SME (P.LE S.M.ELISABETTA) leaving at the minutes 3 and 33 of every hour. With about 5 minutes travel you can then exit either at the stop L. MARCONI "4 FONTANE" short before the Casinò or at the stop L. MARCONI "LION'S BAR" short after the Casinò and the Movie Festival Palace. You can also take the ACTV buses A or B leaving from Lido SME (P.LE S.M.ELISABETTA) every 10 minutes direction Alberoni or Malamocco. Exit at the third stop just before the Quattro Fontane bridge and take via Quattro Fontane following the water channel. You can enter in the Casinò from the back door located in front of the Dockyard (Darsena). ACTV bus tickets cost 1,30 euro and can be purchased at LIDO SME. Participants MUST book hotel by themselves - the workshop organizers cannot take care of room reservations. We will provide for the convenience of participants a list of hotels in Lido of Venice. Click on the map below to open or donwload a map of hotels in Lido of Venice.